Scooper - Technology News: As shops go cashier-free, are retail jobs checking out? For a long time it looked as if online shopping would gradually replace the high street. But the same digital development that was considered to be the end of physical shops may have brought a new beginning. How? Over the past two years a number of cashier-less stores have emerged in Europe and the United States, including the digital check-out test shop opened by Amazon in Seattle last year. The innovative grocery store with no checkout line was called Amazon Go. But it wasn’t a new idea: some 15 years ago the German Metro Group, one of the world’s largest retailers, experimented with something called the Future Store , where radio frequencies and electromagnetic fields were applied to identify and track the tags attached to products. The concept was never commercialized. 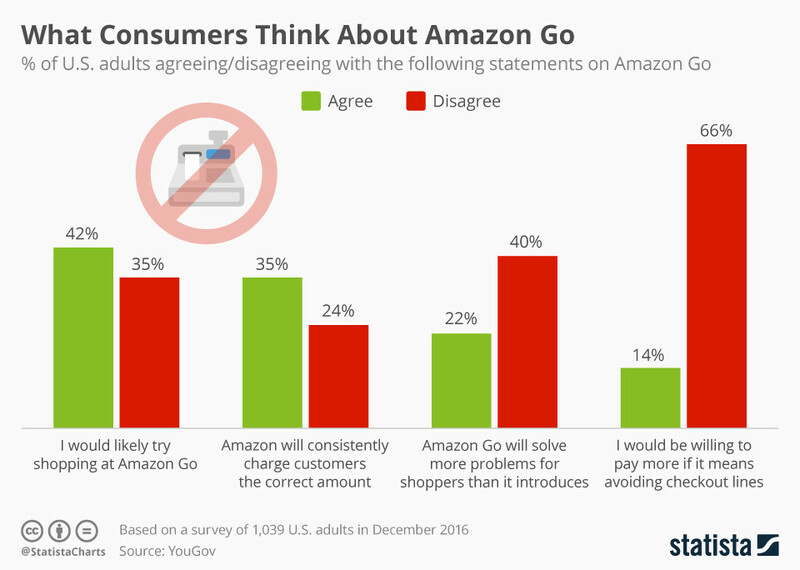 Fast-forward to today, and Amazon Go uses sensor fusion , historic customer data and artificial intelligence; it connects to customer accounts via an app on their mobile phones. Digital cashier-less stores promise certain advantages for business. For a start, the information they acquire and store can enrich existing data and help companies to analyse and plan. It also helps forecast consumer demand, predicting what buyers are going to buy before they know it themselves. The result is cost savings on shipping, inventory and delivery, and increased sales. It's also good for consumers, in that it represent a significant shift towards seamless 24/7 retail and would open up new options for people in remote locations. One thing that a digital store doesn’t do, however, is deliver products quickly. The solution here is in the scaling: delivery on the same day, or even within hours or minutes, becomes easier in a close network of stores and distribution centres. The denser the network, the shorter the distance to the customer, and the faster the goods arrive. This is where more stores and the use of drone delivery , reportedly just around the corner, could speed things up. But this is only one side of the story. There’s another, darker question hanging over the whole enterprise, one perhaps reflected in the public's mixed response in the chart below: the future of jobs in the retail sector, which after all is one of the largest employee groups. In the digital store, the number of check-out staff is expected to decline dramatically. By contrast, jobs for business oversight and store security – as well as in technical positions – will persist. People will always be the best candidates for customer-service roles on the shop floor. It’s an important area of differentiation and it’s already happening. Following the centralization and automation of accounting and invoicing tasks, Walmart announced it was shifting 7,000 jobs to the sales floor. It seems clear that the responsibilities of employees are going to change. Amazon, for example, has filed a patent for 3D printing within mobile manufacturing units . This concept of a moving factory or a moving manufacturing store would mean more flexibility, less stock and more tailored manufactured products for end consumers. In store, 3D printers can be used to produce made-to-order goods or offer 3D printing as a service. Customers pay with smartphones – no checkout line, of course. On the other side of the world, another tech revolution is taking place. In China, the commerce platform ULE is transforming stores into hundreds of thousands of hubs for e-commerce business. In order to prepare for the future, both businesses and governments need to really understand the impact of automation on the supply and value chain. But information and opinions on this impact tend to vary. Bill Gates and Elon Musk, for instance, believe consequences will be severe. Roman Zitzelsberger, meanwhile, head of the German labour union IG Metall, considers robots less as a threat and more as an opportunity to move our professional lives towards higher-value tasks and more flexibility. It seems that whatever happens, not only our professional lives but also our private lives – and many, if not all, businesses – will be affected significantly.